Click on the phone icon in the upper right corner and enter the number you want to call. Press enter or click on Call. 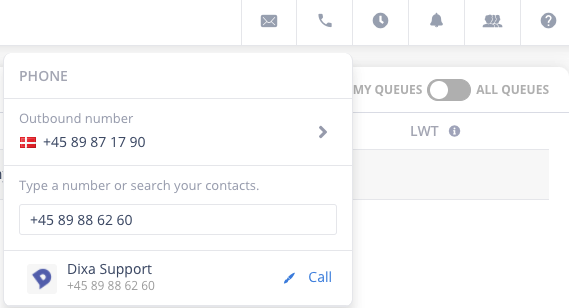 When you enter a number it will be automatically added to your contacts.